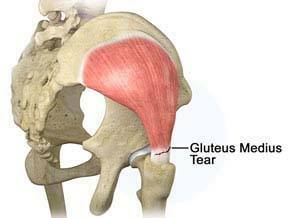 What is Gluteus/Abductor Tear? Hip abductors are a major group of muscles found in the buttocks. It includes the gluteus maximus, gluteus medius, gluteus minimus, and tensor fascia lata muscles.